Publicity is a powerful tool for any author, speaker, coach or a small business owner. For nearly a two decades, I’ve booked, coached and mentored business people how how to get media exposure. As a former journalist and now magazine publisher, I know what they are looking for. Here is a webclass coming up this (9/7/17) Thursday with my friend and colleague Steve Harrison. He is going to share winning strategies on how to get publicity. 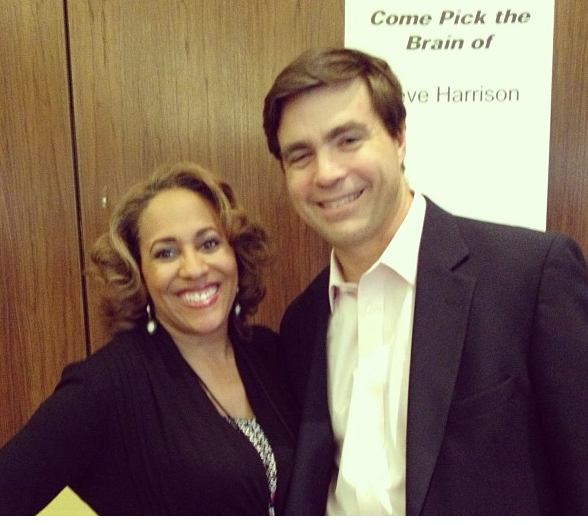 After helping more than 15,000 people get publicity (including 12,000+ authors), Steve Harrison (pictured with me above) has developed a 6-step formula for creating a compelling pitch. Once you learn his recipe, you’ll be able to be able to craft enticing publicity pitches in as little as 35 seconds (yes, really!). To discover the formula, join Steve for a free web class this Thursday at either 2 pm Eastern (11 am Pacific) or 7 pm Eastern (4 pm Pacific). How one author he shared the Perfect Publicity Pitch Formula used it to land coverage in O, the Oprah Magazine. How one of his students failed several times to get any big time publicity, but after Steve showed him the Publicity Pitch Formula, he got booked on Fox News. How Steve personally used this Publicity Pitch Formula to get in touch with a CNN Producer who got back to him two minutes after reading his email! How authors and speakers in different niches have used the 35 second Publicity Pitch Formula to land appearances on Good Morning America, Today, The View and many more shows. The seven most common types of stories/segments that the media love and how you can make what you’re doing fit any or all of them. The trick to developing a compelling “hook” that grabs the media’s interest. A “magic phrase” Steve discovered that will make your emails stand out from all the other emails that producers and journalists receive. The six key ingredients to a great media pitch – and how to pack ALL of them into a 35 second prefect publicity pitch. Secrets for writing emails and PR copy that gets the media to say yes. You’ll be able to apply his 35 second formula whether you’re communicating by email, phone, or in person. Do you love to teach but feel comfortable writing promotional copy about yourself because it feels like you’re “bragging.” Steve will show you how to overcome this paralysis and set yourself free to write great copy about yourself without feeling like you’re an egomaniac. Side note, this has worked for my clients and they’ve landed on Oprah, Tyra Banks and continue to use this information to get booked as a major platform speaker! 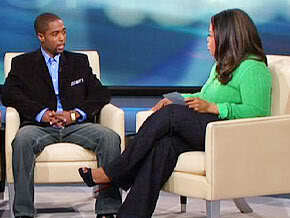 Yes, it was Tony Gaskins! Join Steve for the free web class this Thursday, September 7th at either 2 pm Eastern (11 am Pacific) or 7 pm Eastern (4 pm Pacific).